Ever fancied learning how to fly or just wanted to experience a trial flight over the stunning Northumberland coast line? 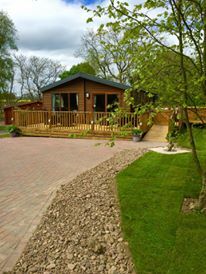 We are so lucky to have Purple Aviation located just a few minutes away from Woodys Lodge and Woodys Retreat, making it the perfect place to book a week away or a weekend and surprise a loved one with a special trial flight that they won’t forget. 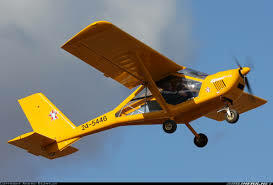 Purple Aviation are the best school for microlight training in Northumberland. 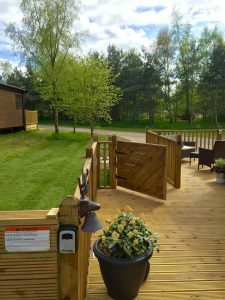 It’s located on Eshott Airfield which is just 16 miles North of Newcastle, just off the A1 near Felton and just minutes away from Woodys Lodge and Woodys Retreat. The trial flights start from just £70 depending on duration and type of aircraft (fixed wing and flex wing). Woodys lodge can accommodate up to 8 people, whilst Woodys Retreat can accommodate up to 4 people. 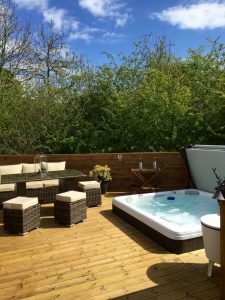 Both properties come with all the mod cons you would expect to find in a home away from home including a large spacious terrace and a sunken hot tub. We also are pet friendly so you can bring your four legged friend on holiday with you. A perfect place to relax, unwind and recharge those batteries. P.S. We still have some availability for mid week and weekend breaks for the Summer Break, check out our special offers page via the availability link above.